(FinalCall.com) – There is no longer any debate. 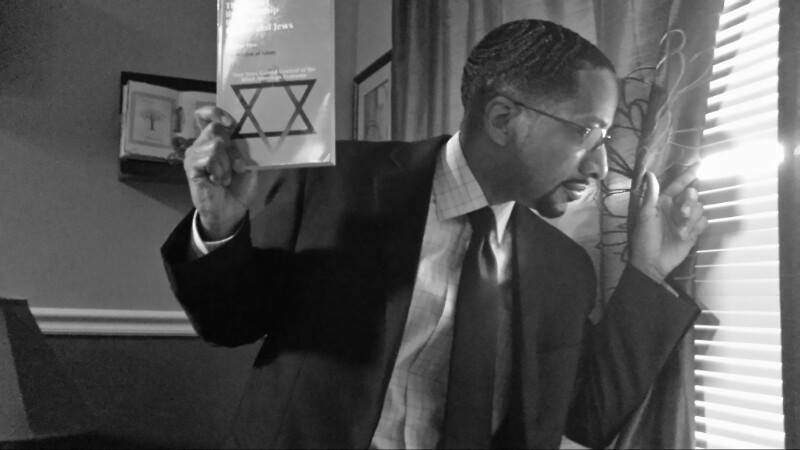 It has been conclusively shown that the Jewish people held a key role in the trans-Atlantic slave trade and the development of an Apartheid society in the United States of America. Different from the heavily footnoted previous publications “The Secret Relationship Between Blacks and Jews” Volumes One and Two, the Historical Research Department of the Nation of Islam has released 144 pages containing 283 Jewish slave sale ads reproduced from American newspapers across the country. “Jews Selling Blacks” displays posted bills, classified ads and flyers showing that Jews bought and sold whole plantations and marketed slaves ranging in age from infants to the elderly. Additionally, Jewish merchants arranged bank financing and various other payment options which in essence amounted to lay-away terms for their human cargo and subsequently enslaved labor force. Jewish apologists often advance the discredited notion that according to the population, only a “modest” number of Jewish people owned slaves. Compared to what? Census figures do not tell the entire story. Certainly one individual, or family—especially possessing great wealth—can be responsible for large amounts of evil. This is evident in places such as slave-era South Carolina. A foundation of mercantilism and the slave trade, it was the first state to declare its secession, leading to the formation of the Confederate States of America, which led to the Civil War. In the book, readers are shown that before New York became the population center for American Jews, during the slave era, Charleston, South Carolina was the center of Jewish population and their mercantile exploits. For example, in December of 1839, Maurice Barnett, a slave dealer in Baton Rouge, Louisiana offered a 26-year-old slave named Osborn for sale. Osborn was described as “a mulatto, good carriage driver and waiter, active and handy at anything he is put to.” His wife Lucinda, 22, was also offered for sale. She was described as “very intelligent, food cook, washer and ironer.” Perhaps the most disconcerting portion of the advertisement was that the children, Commodore, age 6, Josephine, age 4, Henry “about 2 years of age” and Osborn Jr. “about 1 year of age” were also for sale. (p. 9) Keep in mind, many times, Black families would be torn apart and sold to different plantation owners. Quite often, husbands were split up from their wives, mothers separated from their children and children from their siblings. An advertisement in the June 24, 1805 Charleston City Gazette contained an advertisement by Cohen & Moses offering “Twenty Prime AFRICAN SLAVES. Conditions, cash on delivery.” (p.11) In fact, several pages are devoted to slave advertisements by Cohen & Moses spanning several years. Another Jewish auctioneer, Jacob Cohen, a prominent slave dealer who ran Jacob Cohen and Co., also advertised extensively. Later, the company, Jacob Cohen & Son, according to the numerous advertisements that are a part of historical record, continued this legacy of genocidal human trafficking amassing great wealth at that time. Could the modern day Cohen & Co., the Philadelphia-based firm that according to a July 30, 2010 Bloomberg article “built itself into the second-largest manager of collateralized debt obligations” be connected in some way to the similarly named trading companies flourishing in the antebellum south? The demeaning language used in many of the slave sale advertisements, often by well-respected religious pillars of the Jewish community, such as Isaiah Isaacs, a slave owner of Richmond, Virginia, who founded Congregation Beth Shalome (p.112) demonstrate blatant disregard for the humanity of their Black slaves, who were sold alongside farm animals, furniture, liquor and often as “add-on” items when land ownership was transferred. It was not until the revelation of the significant involvement of the Jews that their scholars (and their impish Black lackeys and mouthpieces) sought to highlight the actions of others (i.e., African chiefs, Arab traders, so-called “free” Blacks etc.) in an attempt to change the focus of the discussion and documented research. It is strange that prior to the Nation of Islam’s research, those who had studied history and this critical aspect of the impact of the trans-Atlantic slave trade on American society were perfectly content allowing the blame to fall squarely on the shoulders of the White Anglo Saxon Protestants in the South. Those who continue to be mystified by motive generated mythology and revisionist history are either intellectually incurious or purposefully lazy and have not properly utilized the meticulously crafted documentation provided by the Historical Research Department. As stated earlier, there is no longer any debate. The evidence is overwhelming. The lies have been deconstructed. This book is an important addition to any library, and in years to come, will be considered one of several publications responsible for yet another paradigm shift in the study of American history thus leading to the proper contextualization and understanding of the trans-Atlantic slave trade.